Enjoy the top 3 famous quotes, sayings and quotations by Daniel B. Wallace. 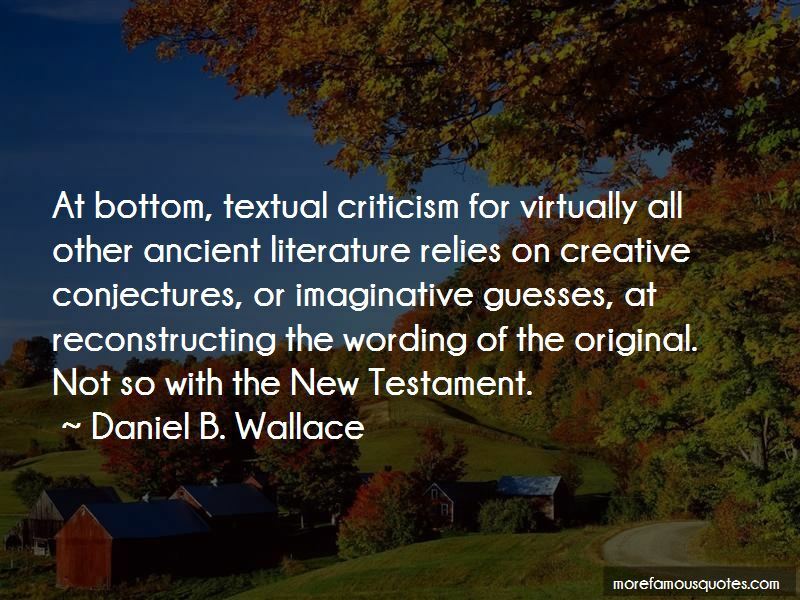 At bottom, textual criticism for virtually all other ancient literature relies on creative conjectures, or imaginative guesses, at reconstructing the wording of the original. Not so with the New Testament. 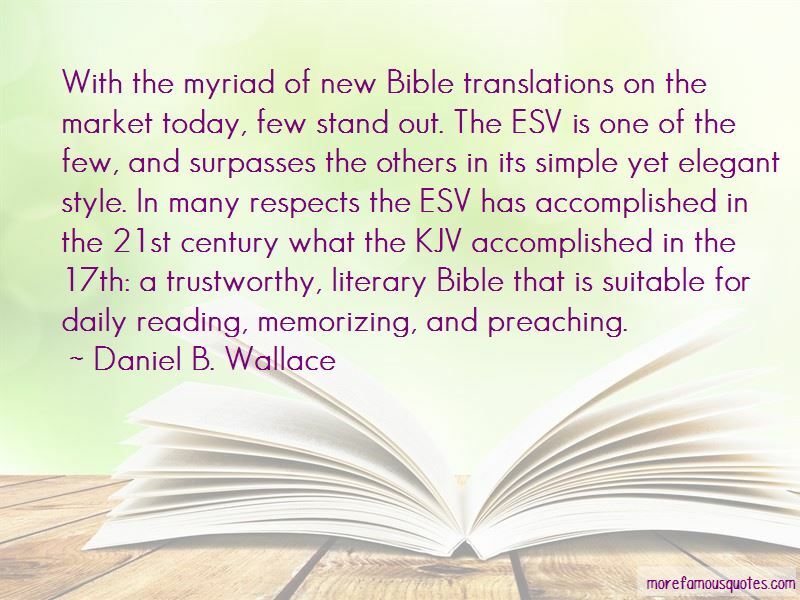 Want to see more pictures of Daniel B. Wallace quotes? 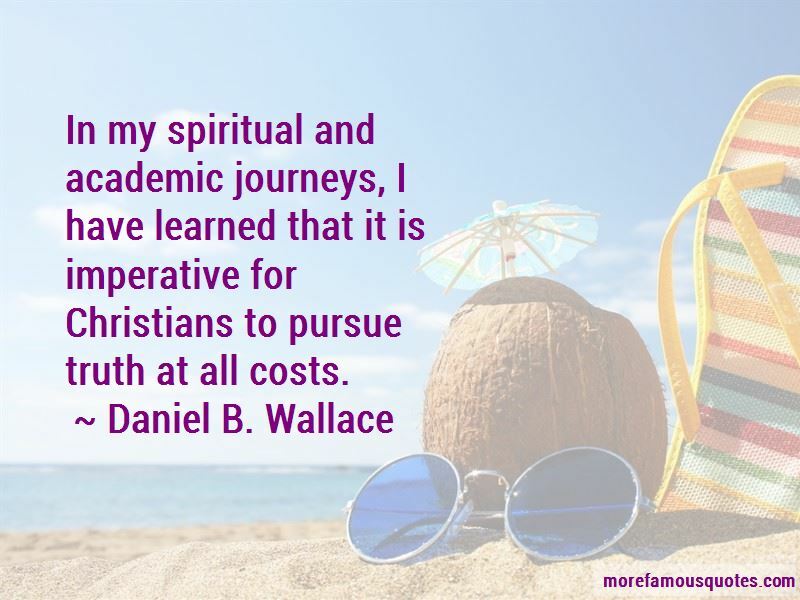 Click on image of Daniel B. Wallace quotes to view full size.